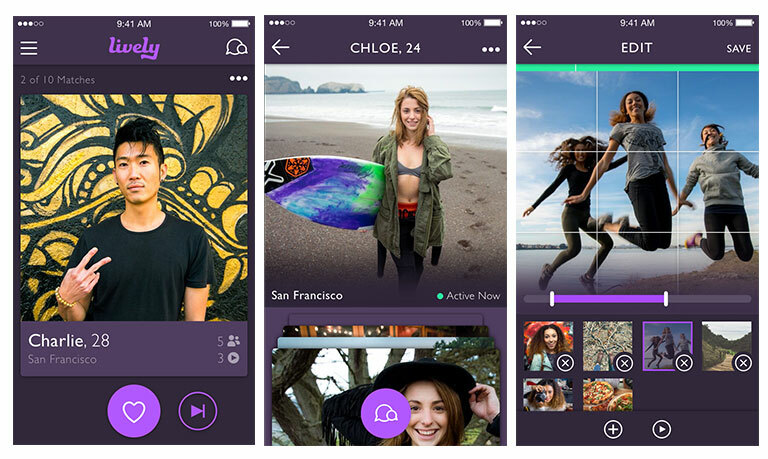 Lively, the first app to come out of the popular dating site Zoosk’s Labs program, brings new life to the typical search and swipe dating experience with dynamic video profiles and a fresh perspective on how people really get to know each other. SAN FRANCISCO, July 19, 2016 — Zoosk, a leading technology-driven online dating company, today announced the launch of Lively—a dating app that goes beyond static images and text, to help daters get to know each other through short videos that create a moving story of who they really are. With over 38 million members worldwide, Zoosk is one of the top dating apps and a leader in the online dating industry. The Lively app, available now on iOS, is the first offering from Zoosk Labs, an in-house incubator that signals the company’s commitment to innovation and expansion into new areas and demographics. On Lively, daters are asked to ‘show not tell’ who they are. Instead of reading that someone likes basketball, music, or hiking; daters can actually watch the other person sink a basket, play a new song, or reach the top of a summit. The video stories add new life and authenticity to the average dating profile without losing the excitement and fun of connecting quickly. In a survey of Zoosk members (ages 18-34), 90% of both men and women said they were more likely to reach out to someone with more pictures or videos on their dating profile and nearly 3/4 of women and over half of men found social media profiles to be more informative about a person than a traditional dating profile.